Some Reddit users and journalists have received defective PS4 units, but Sony assures these are isolated incidents. Having a console before it launches is pretty great - unless it doesn't work. After reports of PS4 issues, President of Sony Worldwide Studios Shuhei Yoshida responded on Twitter, "Be assured we are investigating reported PS4 issues. The number is very small compared to shipped, we believe they are isolated incidents." Yoshida later confirmed the issues are small compared to the number of shipped pre-launch units. Reddit user arogon won a PS4 through Taco Bell's Play The Future First promotion. Arogon wrote on Reddit that his PS4 unit pulsed blue when turned on, and the TV could not pick up a signal from the PS4. "I tried 3 TVs with 4 HDMI cables and 6 outlets," he wrote, indicating that there had to be something wrong with the console itself. After speaking with multiple people from Sony about the problem, Arogon said Sony has sent an overnight box for him to ship the PS4 back to Sony's tech support. Other winners of Taco Bell's promotion have also had problems with faulty PS4 units. IGN reports having the same problem, but the problem did not begin until updating the PS4 to the necessary 1.50 system update. IGN used different HDMI cables, inputs, a different TV, inserting a disc, connecting to the internet, and resetting the console. None of this fixed the problem, and a Sony PlayStation representative visited and replaced IGN's broken PS4. Kotaku also had problems with a pre-release PS4. The first retail unit provided to Kotaku had a faulty HDMI jack that they could not fully plug an HDMI cable into, making the PS4 unable to send a signal to the TV. After trying different cables and monitors with no success, it was apparent the problem was with the PS4. Kotaku reports the other four units they have tested work fine. 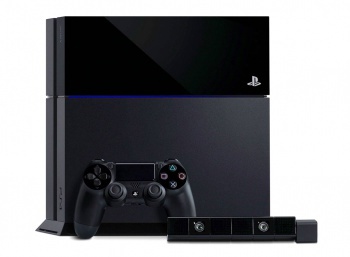 Users with pre-launch PS4 units who have had problems with the system should contact Sony support at 1-800-345-SONY.